We offer information and tips on raising quail, pheasant, partridge, waterfowl, guineafowl and many other species of wild game birds that you have wanted to keep. If you are a beginner there are detailed instructions written with a 'how to' approach. We have information available in both printed books and the new digital format. If you want articles to read about game birds, this is the ideal site for you! Dr. Leland Hayes writes and edits the information. Dr. Hayes is the leading authority on game birds in the English speaking world. He has written many books and articles on the subject and is known for his down to earth approach in easy to understand English. Google him and find out for yourself. We offer an "Iron-Clad" guarantee. We will refund your money if you are not satisfied for any reason on any of our non-download products. Upland game birds (Galliformes) is a very fascinating and popular family of birds. They are found all over the world and most are ground dwelling. They have become a very popular back yard species where room for aviaries is limited as some are quite small. Other members of this family are quite large and striking. One lovely thing about the upland game birds, they are very colorful for the most part. While some may be called drab in coloration, the male birds sport outstanding coloration with patterns that only Mother Nature could design. Besides being attractive, their undying popularity is due in part to the fact that some species can lay many eggs. There has been a great need for a comprehensive work on how to manage and breed game birds by a person with an extensive and authoritative background in game bird research, breeding and pathology. This book fills this need! Upland Game Birds - Their Breeding and Care is the second edition of the popular first printing Raising Game Birds which is now out of print. 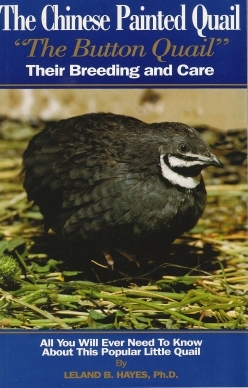 Some of the chapters include complete descriptions, breeding and management, the latest information on 15 species of quail; 15 species of partridge; 15 species of pheasants; 5 species of wild turkeys; 5 species of junglefowl ; 5 species of guinea fowl; with updated material on the breeding, care and health of each of these species. This new edition has 25 color pictures of birds and new black and white photographs. It is filled with information that is not only good, solid, practical information for everyday use, but it also is useful and valuable as a resource document. It is written in understandable English easy for the experienced as well as the inexperienced breeder to understand. This is the book that a beginner should have. This is a HOW TO book on raising gamebirds if there ever was one. It is documented from extensive research that went into it's preparation. It contains an alphabetized index that gives the reader easy reference. This book is popular all over the world. Regardless of where you live, it will answer your questions. It's amazing how much you packed into one book. I'll definitely be buying a copy. I have just purchased your book and I have to say it is one of the most informative gamebird books I have ever read. I have your book Upland Game Birds, no doubt the best and most informative book for anyone seriously interested in breeding some of the awesome gamebirds. Released for the first time on CD! 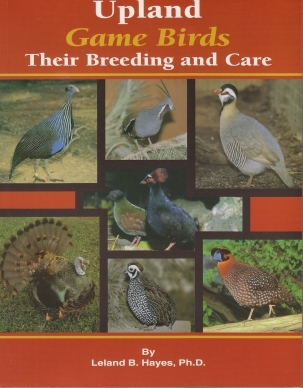 The popular book, Upland Game Birds, Their Breeding and Care, is now available in a searchable PDF Version. The reader can now search the entire book for words or phrases of interest and go right to them with the click of a button. This is most valuable if information is wanted, for example, on a specific game bird, such as quail, pheasants, partridges, or if you need information about any of the topics associated with the raising of any type of game bird. The entire book is available on a CD that can be printed out beautifully on your own printer. The seven pages of full color plates are reproduced along with the many line drawings and black and white photos. 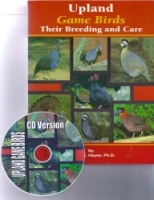 The popular book, Upland Game Birds, Their Breeding and Care, a comprehensive work on how to manage and breed game birds is now available in a package that includes the original book and the new complete version on CD. This specially priced package combines the best of both worlds, a printed book and a searchable electronic version of the book in Adobe pdf format. The reader can search the entire book for words or phrases of interest and go right to them with the click of a button, including information on 15 species of quail; 15 species of partridge; 15 species of pheasants; 5 species of wild turkeys; 5 species of jungle fowl; 5 species of guinea fowl; with updated material on the breeding, care and health of each of these species. Read what others have to say about this great resource in the book description above. The great popularity of Chinese Painted Quail (also know as Button Quail) among aviculturists comes only partly from their tiny size and vibrancy of color. A large part of their popularity results from their availability and ease of care. It matures at six weeks of age and will lay an egg every day of it’s life if it receives a proper diet. Chinese Painted Quail can be raised totally on commercial game bird feed as their nutritional requirements are very similar to Turkeys. Do not feed them a ration prepared for laying hens or chickens as there is not enough protein in these feeds. This book about these little birds will be of immense practical value to beginners and long-time aviculturists alike, because in it the author spells out how to breed them and how to keep them healthy. This is a book of 160 pages with color prints and b/w photos. Chapters include: What is a Chinese Painted Quail? Buying - Basic Housing - Basic Care - How to Raise - Keeping them Healthy - Some Common diseases - Some Common Parasites - Index. This book is now available on CD as well. See below for more information on getting the CD version. I want to endorse your book - It provided me a wealth of information when I began breeding quail. I bought your book, The Chinese Painted Quail, and found it a very informative and interesting read. I have read your book. I liked it very much!!!! Your books have been a great help. I have your book and have enjoyed reading it. 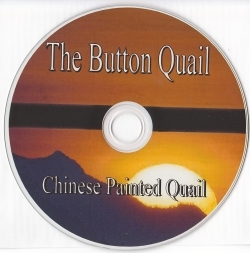 The 160 page book Chinese Painted Quail has been a popular seller for a number of years and is now available on CD. It is a complete resource on these wonderful little quail called in America - "Button quail". When you read this book you will agree that these are really remarkable little birds. You will understand why so many are found in the pens of aviculturists all over the world. This complete volume will give you all the needed information to raise and keep these birds successfully. This CD (PDF) is a replicate of the entire book in print. It has the advantage of being "searchable" using the Free Adobe Reader program. You can have the answer to your questions at the click of the computer button. Some like to have the book in print along with the CD so they can take it with them to read. For more about the book please click "Get a Free Read". 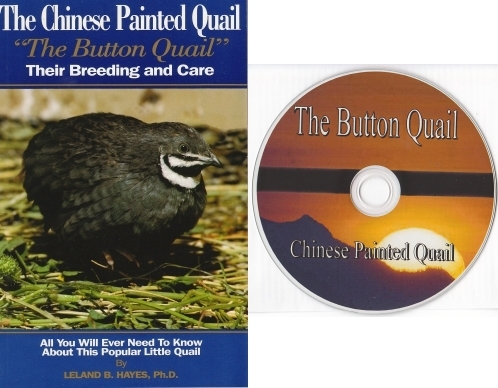 This book and companion CD about Chinese Painted Quail (also know as Button Quail) will be of immense practical value to beginners and long-time aviculturists alike, because in it the author spells out how to breed them and how to keep them healthy. This is a book of 160 pages with color prints and b/w photos. 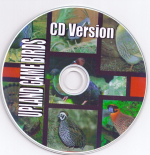 The CD (PDF) is a replicate of the entire book in print. It has the advantage of being "searchable" using the Free Adobe Reader program. You can have the answer to your questions at the click of the computer button. Some like to have the book in print along with the CD so they can take it with them to read. 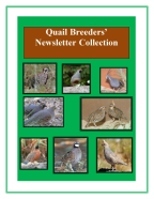 Have You Ever Wanted More Information About How To Raise Quail? If you have ever thought about learning more about Quail, or maybe you have raised birds for years and now feel that you want to get some new species but need information about them before you get too involved - You will be interested in this! Even if you don’t think of yourself as a bird breeder, and never have raised birds, and live in an apartment where you cannot have birds, there’s no reason you shouldn’t consider putting your desires to use by learning about what you love. Perhaps you are planning retirement soon and need something to occupy your time. Quail are a wonderful retirement hobby and offer an opportunity to make a profit if you have the right information about them. LelandHayes.com Design Copyright © 2009. All LelandHayes.com Content Copyright © 2000 - 2009 by Leland Hayes.